There is a continuous argument going on in my head as to whether I prefer seaside or country getaways but what I have decided the main aim is to GETAWAY! 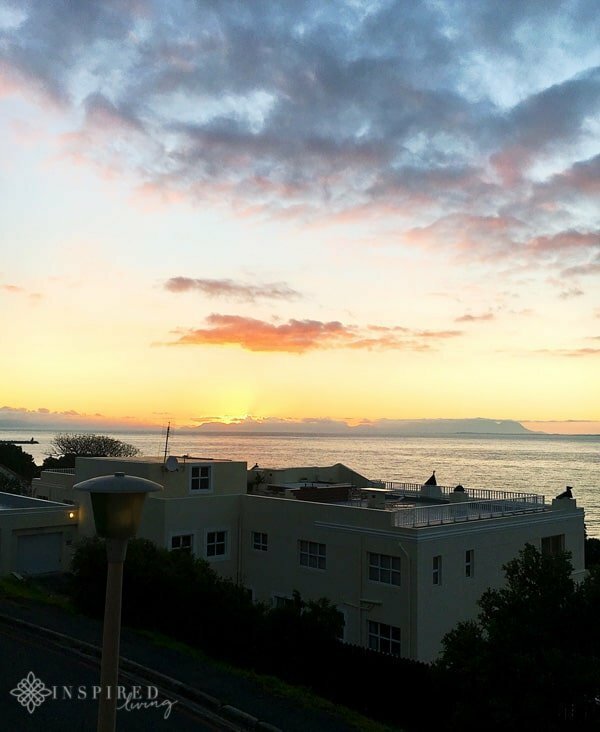 We recently escaped the city for a family getaway to the quaint seaside village of Gordon’s Bay and stayed at On The Bay Retreat. On The Bay Retreat is located in Gordons Bay at the foothills of the Hottentots Holland Mountains, overlooking False Bay. The harbour town, on the northeastern corner of False Bay, is approximately 50 kilometres from Cape Town. The drive from Cape Town will take you roughly an hour, traffic dependant. As a child, some of my favourite family holidays were in Gordon’s Bay, which made a staying there with my family rather special. 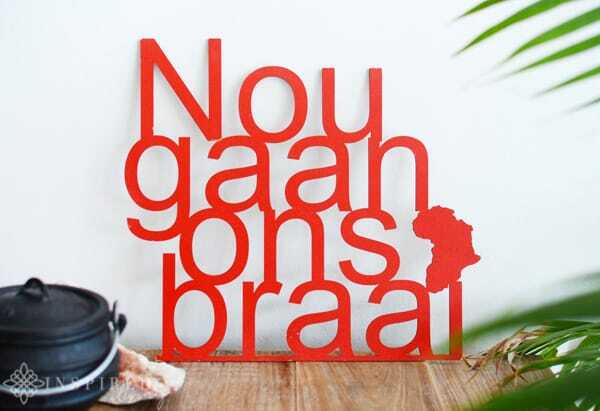 On the Bay Retreat, consists of two beautifully decorated self-catering properties. The sunny self-catering flat is suitable for two adults and has a private driveway, patio and BBQ area. 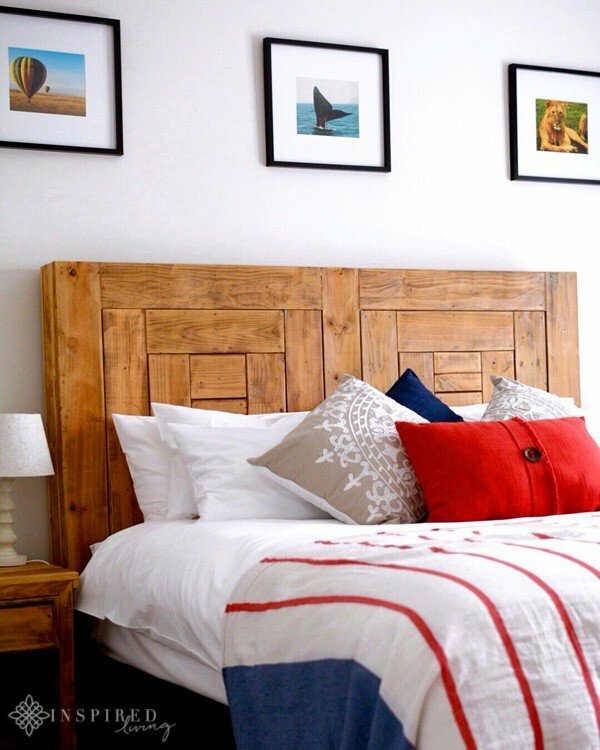 The bedroom has a queen size bed and built-in cupboards. It also has a kitchenette, with an electric oven and gas hob, microwave and fridge. The sitting area has a Samsung smart TV, and free wifi is also available. Our family accommodation was in the Main House, which has three bedrooms, perfect for families or couples travelling together. 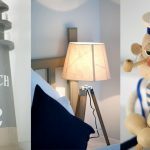 Not only is the property we stayed in beautifully decorated, with a beachy theme, but it is exceptionally well appointed. The first two bedrooms share a bathroom, which has a bath and a shower. Both bedrooms have queen size beds, ample cupboard space and a flatscreen TV. The master bedroom, with ensuite, has a bath and shower, as well as a dressing room. Every fashionista’s dream! The room also a large desk area, flatscreen TV and a view of the bay. 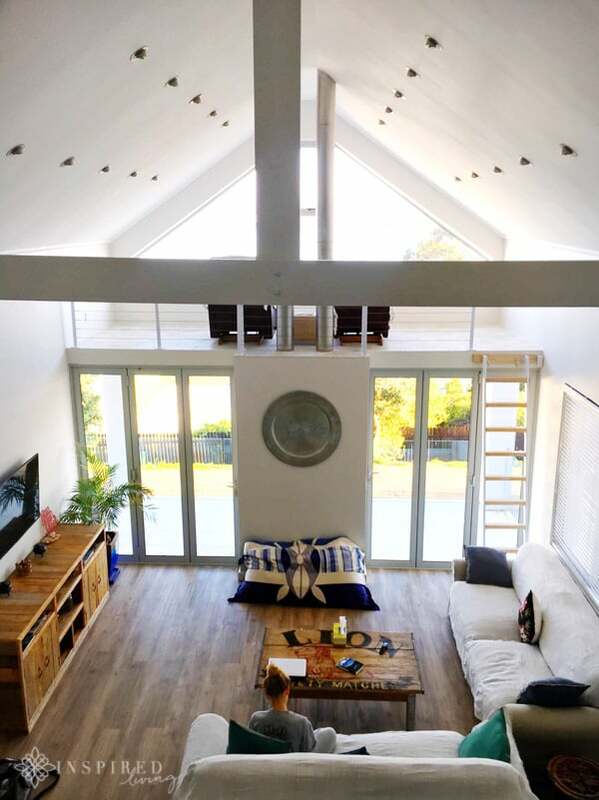 In addition to the three bedrooms, there are two loft areas. The back loft has a foldout couch, which can be used to accommodate additional guests. 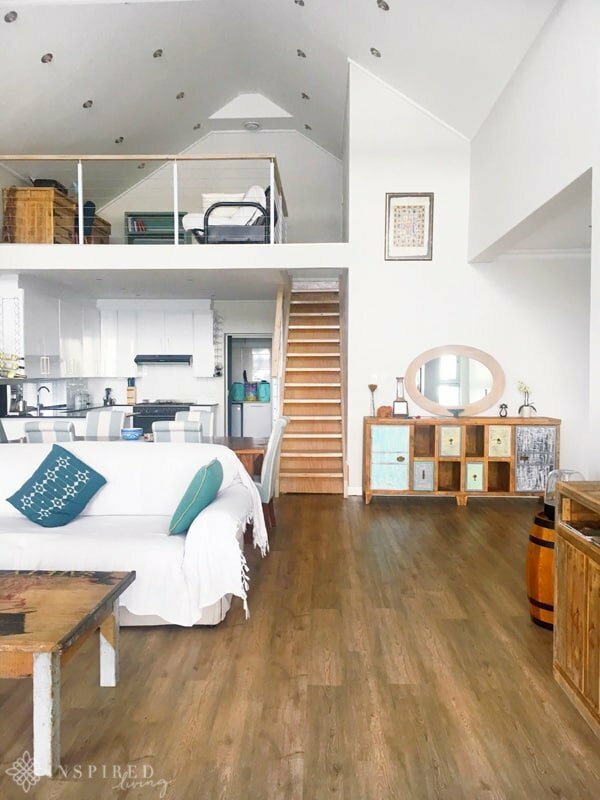 The loft above the lounge has fantastic views of False Bay and is the perfect spot to watch the epic sunsets and enjoy a glass, or two, of wine. The amazingly designed kitchen, fitted with a smeg oven and gas stove, stole my heart. It also has a side by side fridge freezer, microwave, as well as an LG coffee machine. I figure that if one must self-cater, then this is the type of kitchen to do it in! Plus because the kitchen and living area are open-plan, you are still able to enjoy the view. There is also a six seater dining table, as well as two couches and a flatscreen TV. The patio has a built-in fireplace, perfect for having a braai aka BBQ. 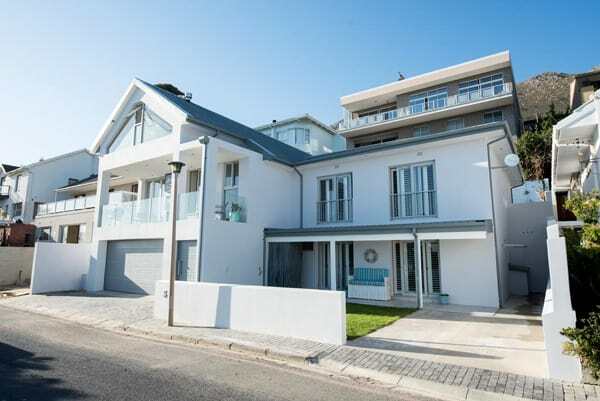 The exceptionally well kitted out house is ideal for family living. You cannot help but fall in love with On The Bay Retreat, which has stunning views across the bay. The beach is a mere 70-meter walk from the property, making it the ideal location, especially in the heat of summer. There is also a seaside path along the beachfront, perfect for a morning run or an evening meander. Naturally, weather permitting, the best thing to do is to spend time on the beach, relaxing and swimming. 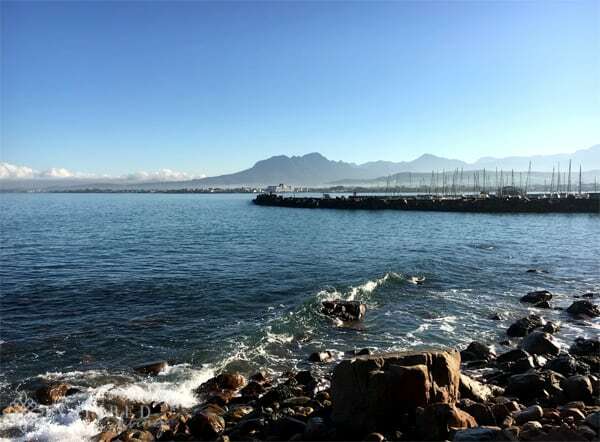 The famous Blue Flag beach, Bikini Beach, is tucked against the Gordon’s Bay Old Harbour wall. Sheltered from the southerly winds that often blow during the summer months, makes it a popular choice. 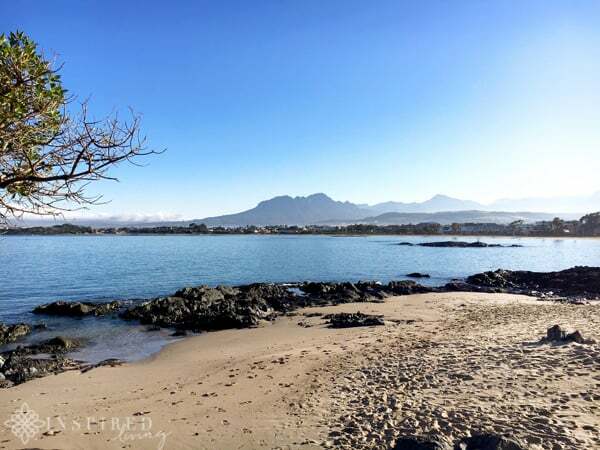 Gordon’s Bay’s main beach, with its calm water, is a fantastic beach for families with small children. It can, however, be quite frenetic during peak season. If cooking up a storm, in the fantastic kitchen, is not on your agenda, there are a selection of restaurants along the beachfront and in the Old Harbour. 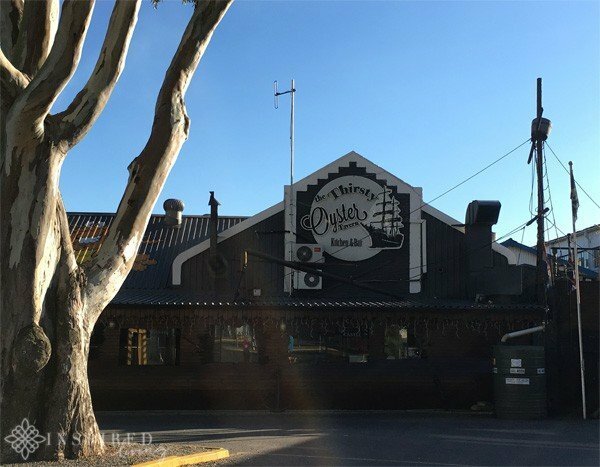 A short stroll from On The Bay Retreat, in the Old Harbour, you will find the Thirsty Oyster Tavern. Who, I have it on good authority, serve the most delicious seafood. It is a firm favourite with the locals and seen as they have been around for thirteen years must be doing something right! Also in the Old Harbour is Harbour Lights Restaurant, which promises elegant, classic ambience, amazing views, and an excellent selection of seafood and grills. Heading in the opposite direction, towards the main beachfront, you will find Antonio’s Pizza, situated in a private marina, on the water’s edge. They serve pizza and pasta as well as a selection of seafood and meat dishes. There is also Zest Restaurant, a Mediterranean bistro, located on the beachfront, which offers spectacular views of False Bay. They serve contemporary Mediterranean cuisine, which includes fresh seafood, poultry, meat dishes, homemade soups and decadent desserts. 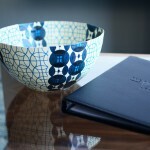 You may very well not want to leave the house or the area and opt to spend your time relaxing. If you are up to it, however, then I highly recommend a day trip to Hermanus. The scenic drive, along with the coast, is one of my favourites. Stony Point Nature reserve is located in the quaint coastal town of Betty’s Bay and is home to a unique colony of African Penguins. The boardwalk provides the perfect vantage point to see these beautiful birds up-close. 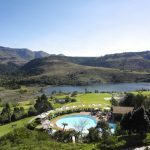 For the adventure seekers, there is the Crystal Pool Hiking Trail, which is in the Valley known as the Steenbras River Gorge. It Officially forms part of the Steenbras Nature Reserve. Please note that is only open in summer from the 1st November to 30th April. You will also need to obtain a permit to hike the trail, which you can do via electronic booking. The first pool is approximately 45 minutes from the start of the trail. 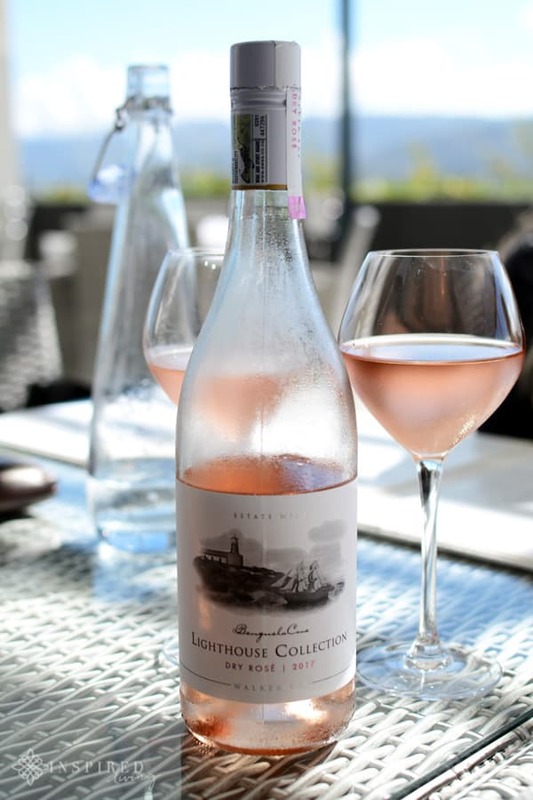 During our stay, we popped in at Benguela Cove, a stunning estate overlooking Walker Bay, for wine tasting and lunch. 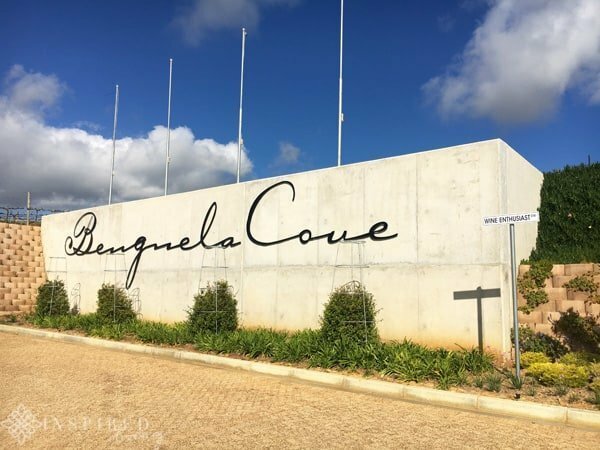 Benguela Cove is one of the closest vineyards to the sea, as well as being the largest wine producer in Walker Bay. We really enjoyed their wine, with the róse and pinot noir being among the favourites. 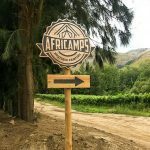 Another excellent wine tasting area is the Hemel en Aarde Valley. Creation Wines and Bouchard Finlayson are among my favourite estates in the area. 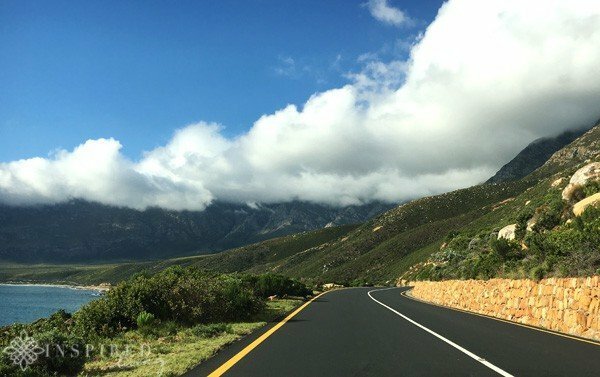 There is so much to see and do in both the Helderberg and the Overberg, with On The Bay Retreat being the perfect base to explore these areas in more depth. We loved our stay at On The Bay Treat, and I cannot stop raving to everyone about how stunning the house is, as well as how at home we felt. I think if you are staying in self-catering accommodation the main aim is for it to feel like home, only better and without the stress. We cannot wait to return with friends, especially as the weather gets a bit warmer and we can spend more time outdoors. 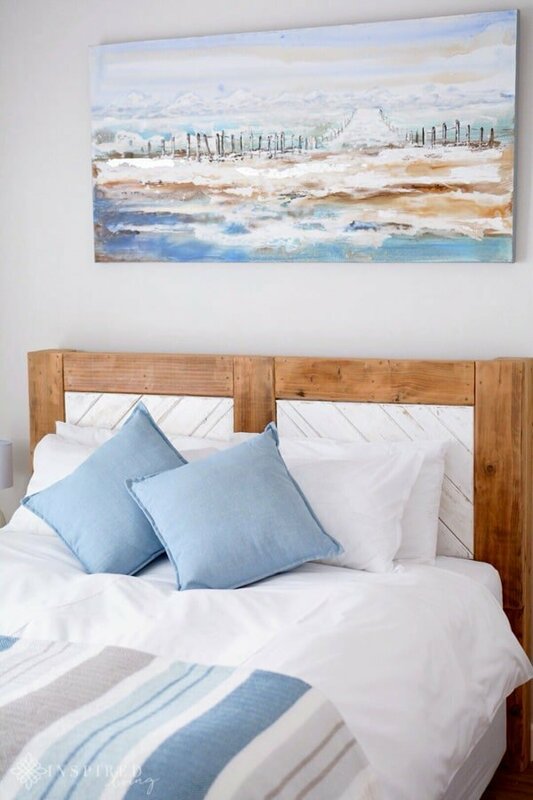 For more information regarding rates and availability, please contact On The Bay Retreat via telephone +27 (0)609426948 or email bookings@onthebayretreat.com. If you have enjoyed this review of the Constantia Glen Wine, please share it by hitting the buttons below⇓. For video reviews, please subscribe to the Inspired Living YouTube channel. Our accommodation was complimentary. 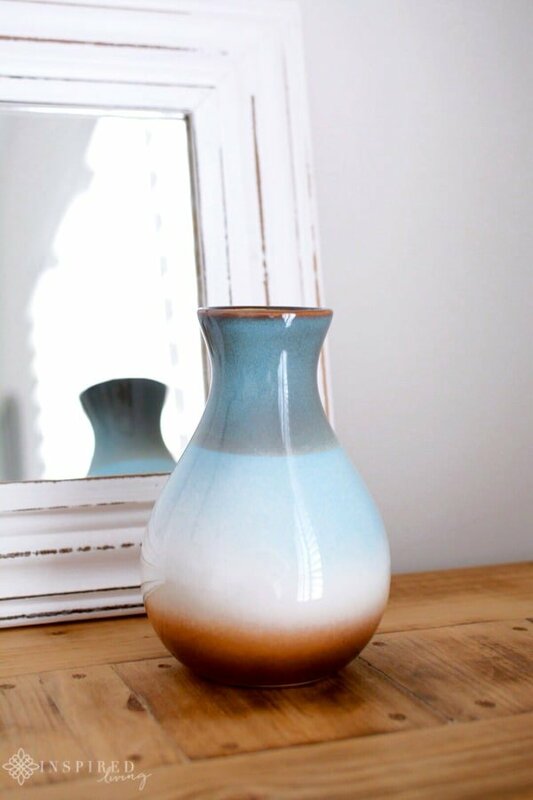 Inspired Living and Fiona Rossiter has no material connection to the brands, products, or services mentioned in this post. Please note that care has been taken to ensure that all information, including prices, are deemed correct at time of publishing. These are, however, subject to change at the establishment’s discretion. Please note that all opinions, content, and images are the property of Inspired Living or Fiona Rossiter unless otherwise stated. To see more, read the full PR & Disclosure Policy below.